A baby's gotta do what a baby's gotta do!" 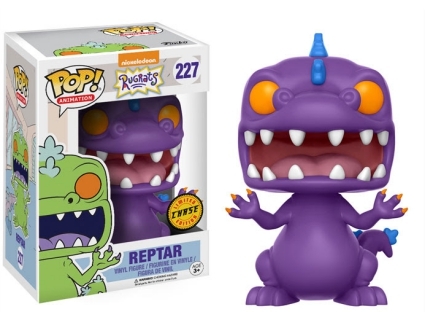 Nicktoons' favorite toddlers get stylized with the Funko Pop Rugrats release. The set supplies main characters from the classic Nick cartoon of the 1990s. Included in the main Pop! 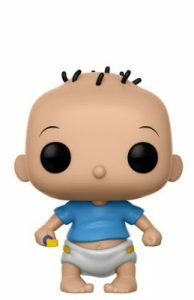 Animation line, Tommy Pickles is shown with tiny wisps of hair atop his otherwise bald head. He is wearing a diaper and a baby blue t-shirt while holding the handy, multi-purpose screwdriver." 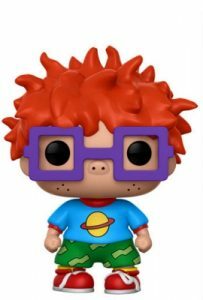 His partner in crime, Chuckie Finster, appears much older than Tommy. Even though he’s just two, Chuckie has a full head of orange hair. He is also seen wearing the classic purple glasses, Saturn shirt, shorts and of course, his untied shoes. 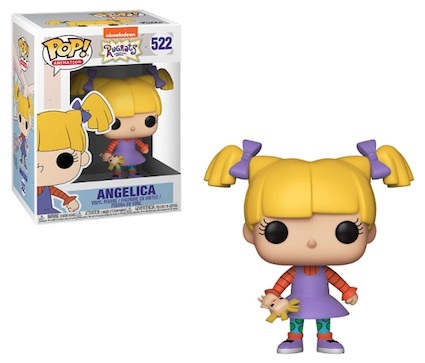 Shop for Rugrats Pop figures on Amazon. Reptar, a Rugrats staple, is lime green with large orange eyes. The dinosaur’s purple claws match the inside of his wide-open mouth. 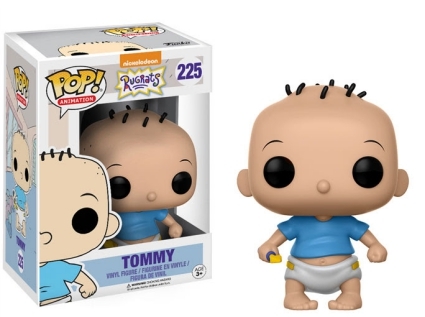 In addition to the main options, limited chase variants include Tommy wearing a red shirt while holding a bottle, and a purple Reptar. Both carry 1:6 box odds. 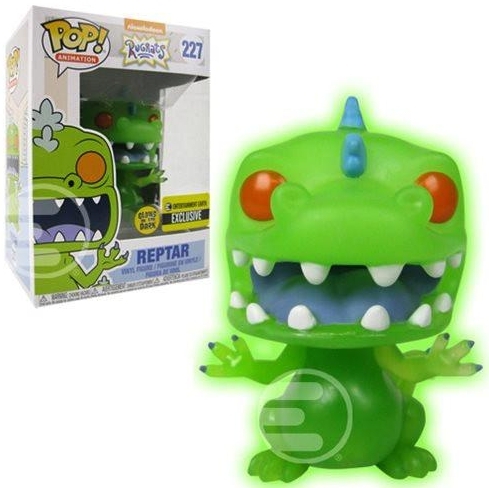 Reptar also has an exclusive glow-in-the-dark vinyl at Entertainment Earth and a cereal version at FYE. A special two-pack at Books-A-Million! offers the main Tommie and Chuckie figures in one combo box. 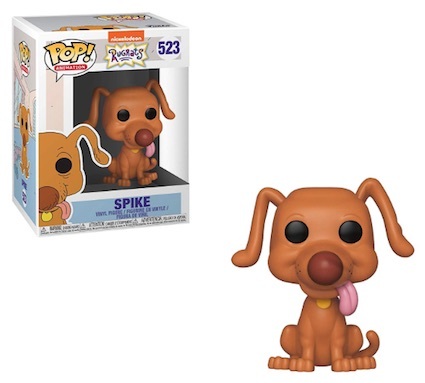 Later Funko Pop Rugrats releases include the trouble-making Angelica and the Pickles' family dog Spike. 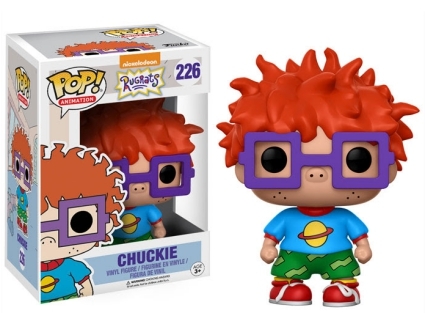 2-Pack: Tommy / Chuckie - BAM! 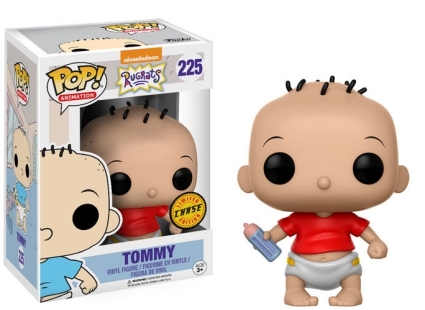 2-Pack: Tommy / Chuckie - Books-A-Million! 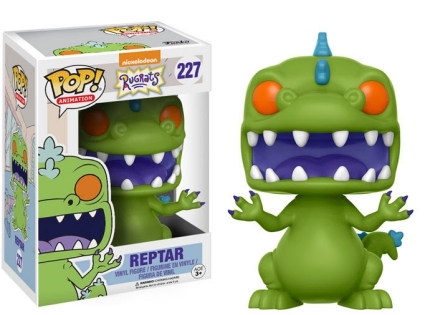 Funko Pop Animation Nickelodeon Rugrats Tommy #225 Chase Edition! Funko Pop! Chuckie #226 Rugrats Cartoon Animation 90s TV Vinyl And Plastic Case! Funko POP! 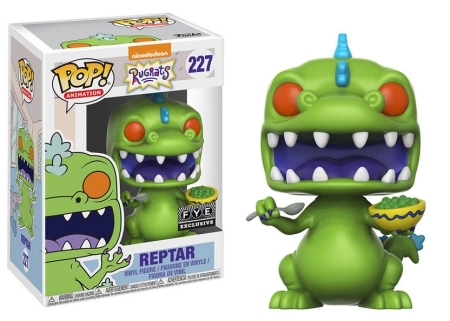 Animation #227 Nickelodeon Rugrats Reptar Chase.